The Recreation Centre provides snorkeling equipment rental and temporary airbrush tattoo. Pool tables and a variety of indoor board games are also available. Please refer to our recreation centre for more info. Pulau Redang offers an astounding variety of marine life. 'Barracuda Rock' located northwest of Batu Barat provides close encounters with this well known fish, whilst the reefs to the west of Pulau Chipu has some of the largest concentrations of anemones found anywhere. 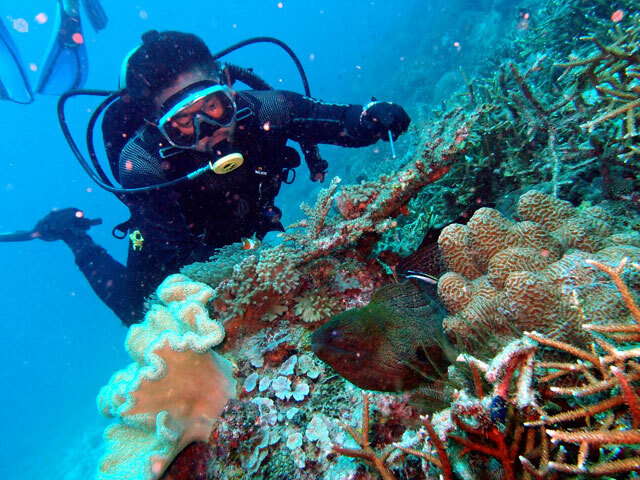 Mini Mount is a favourite day & night dive site in Redang. This reef is home to angelfish, parrotfish, wrasses, groupers and other reef dwellers. Comprising mainly hard corals, there are patches of colourful soft corals, sea whips and sea fans. Nocturnal creatures like crabs and eels, along with urchins provide a change of scene in night dives. Try the northern & southern tips for scenic reefs that slope from about 4m to 20m to the sandy bottom. You will encounter rays, sea cucumbers and sea stars, in addition to different varieties of fish foraging for food among the hard corals. "Big Mount", located at about 100m from the northern tip, provides interesting encounters with batfish and barracudas, and the occasional whale shark. 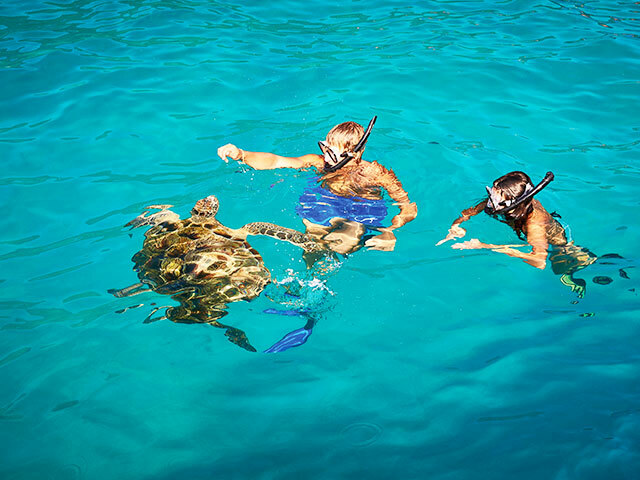 Whether you are a first timer or a non-swimmer, you will fall in love with snorkeling. Just put on a lifejacket and jump into the crystal clear water to experience the marine life up close. Not to be missed is a trip to the Marine Park, where you can see hundreds of fishes swimming around you.